Here are this year's Christmas titles. They have been shipped to the shops on our automatic list. Look for these titles and other JBW Designs at your local stitching shop. If they don't carry my designs, tell them to contact me to place an order. This Christmas brings the start of a new series I am calling Sing A Song of Christmas. Each design is centered around a different Christmas song. The first three are Over the River, Here Comes Santa Claus and Frosty the Snowman. 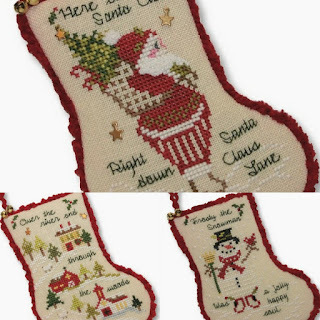 They have been finished as little stocking ornaments. My next design is a darling Folk Art Christmas Tree. 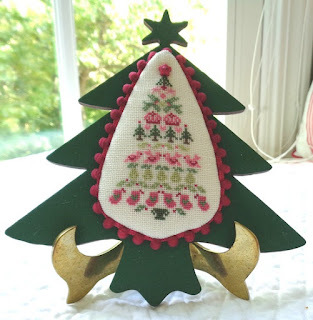 This design looks sweet mounted on a folk art tree board from Kelmscott Designs. I have some of these boards in stock. Please have your shop contact me to order them if you would like to finish your piece like the sample. I have also designed a companion piece to last year's Tidings of Joy. 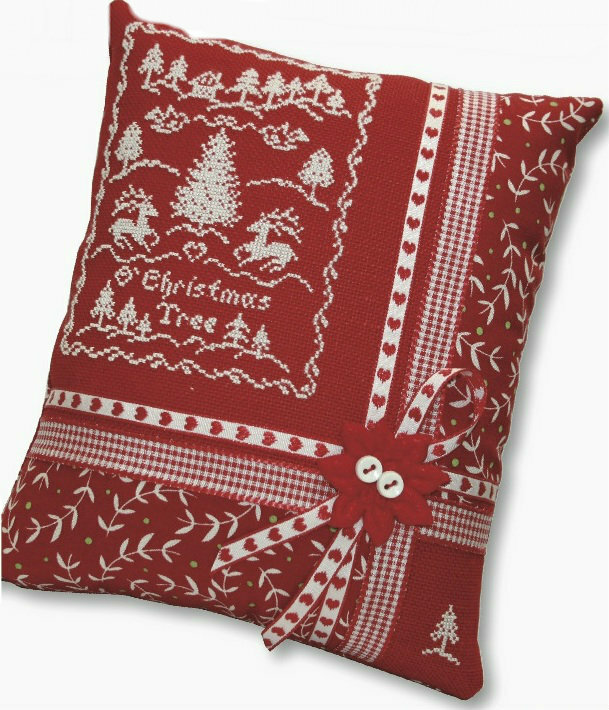 It is called O' Christmas Tree and I just love it stitched in white thread on red fabric over one. 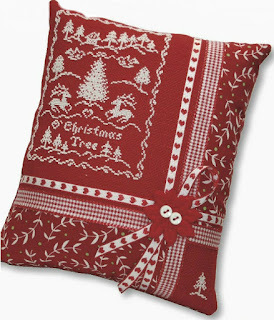 I also stitched it over two on white fabric with red thread. It looks great either way. Finally, this year's Limited Edition Ornament Kit is entitled Deck the Halls. The kit includes the fabric, chart, finishing instructions, charms, ribbon, and chenille trim. You just need to provide the fibers. 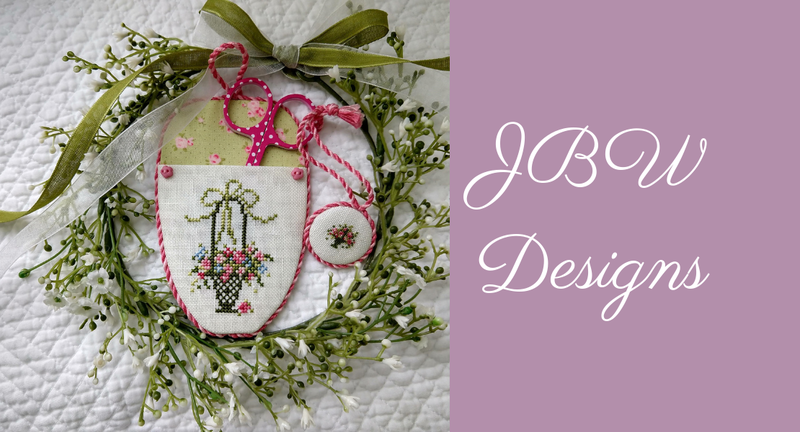 I invite you to join my Friends of JBW Designs page on Facebook and please post photos of your finished JBW designs. I love seeing everyone's creativity!